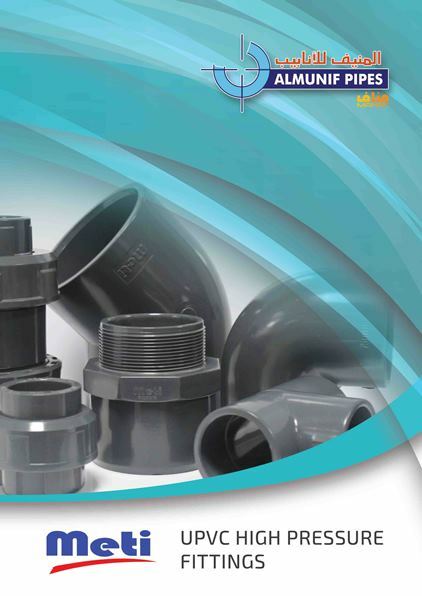 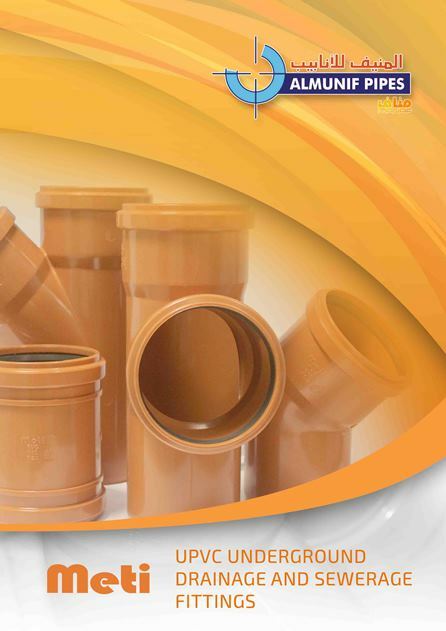 We, AlMunif Pipes, are specialized in producing all types of UPVC, CPVC, GRP, PP-R, HDPE Pipes and fittings. 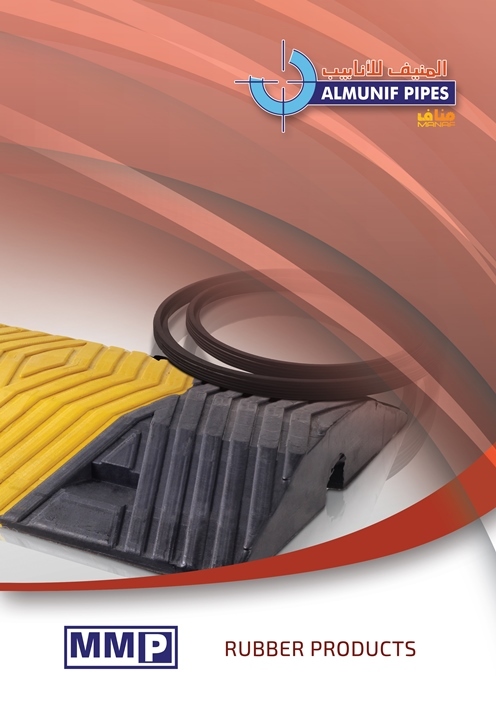 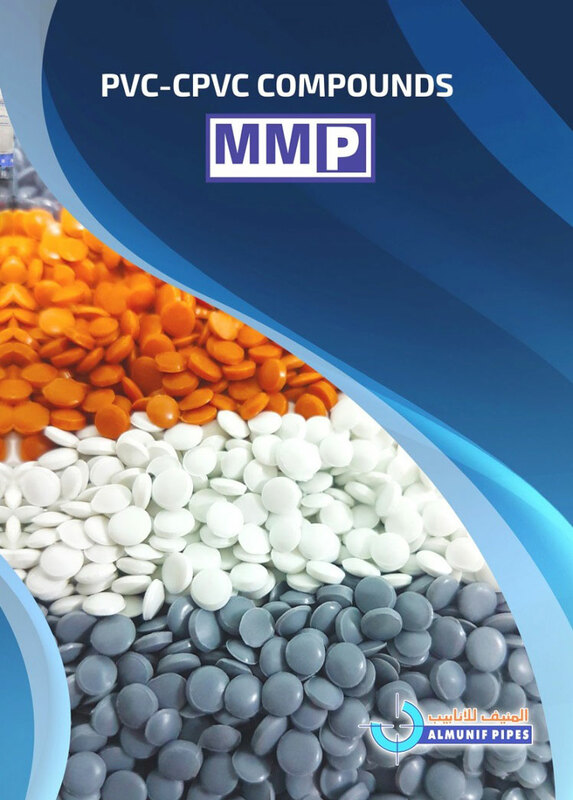 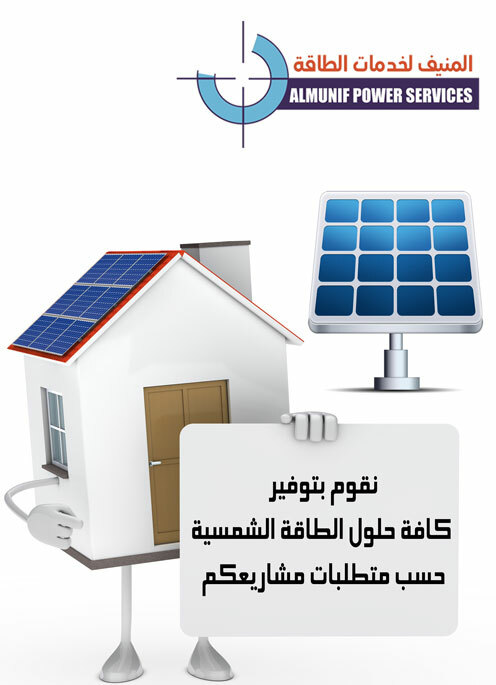 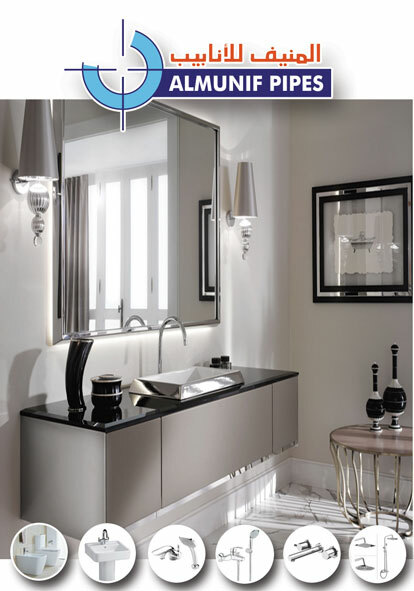 Our company was established since more than 30 years ago. 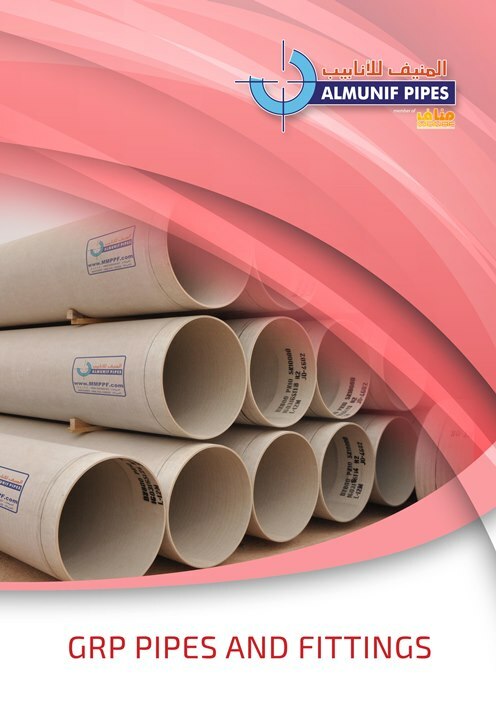 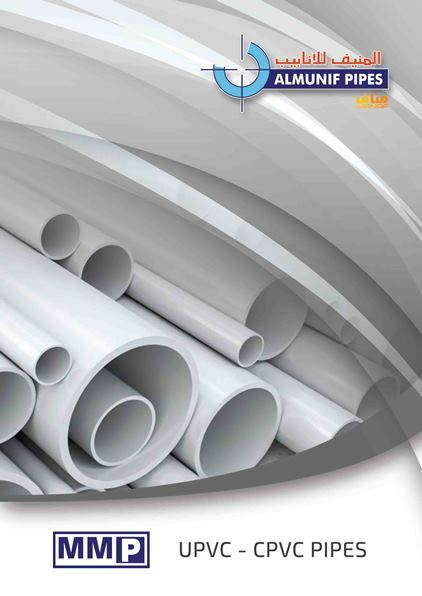 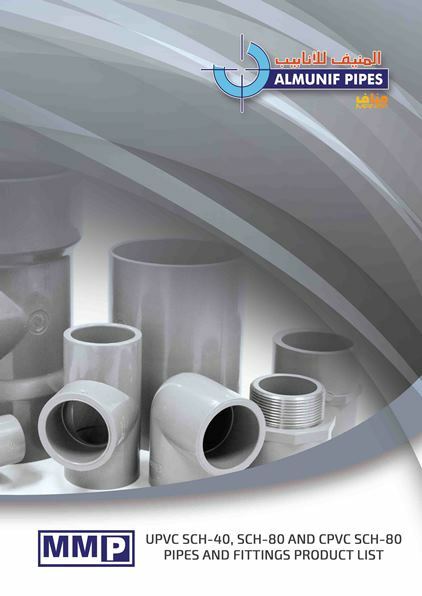 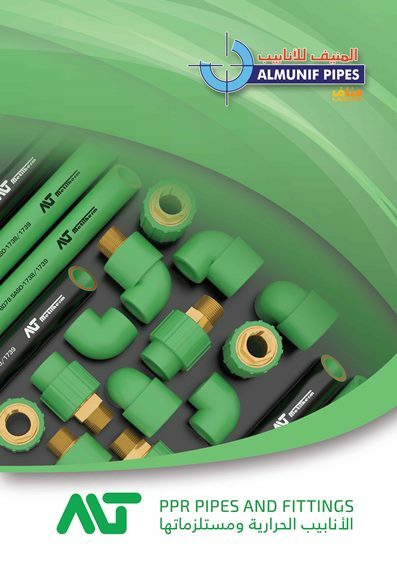 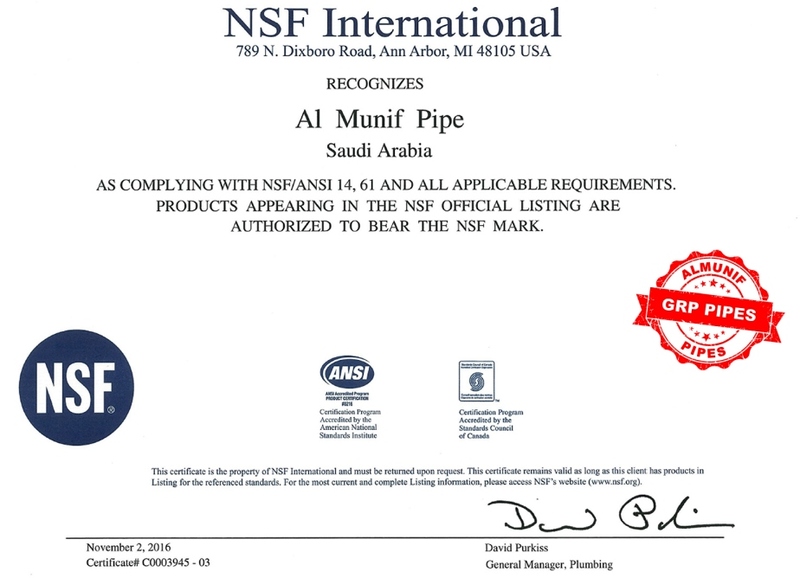 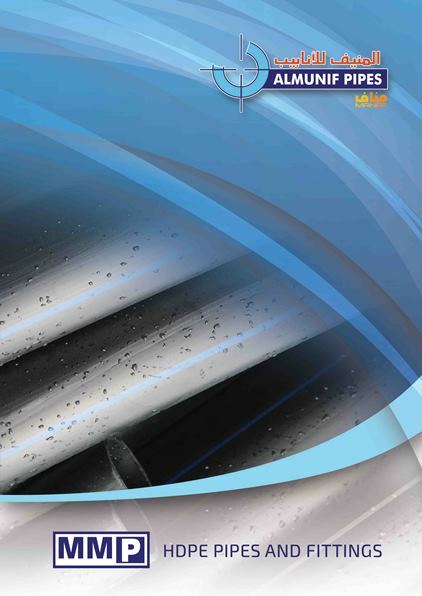 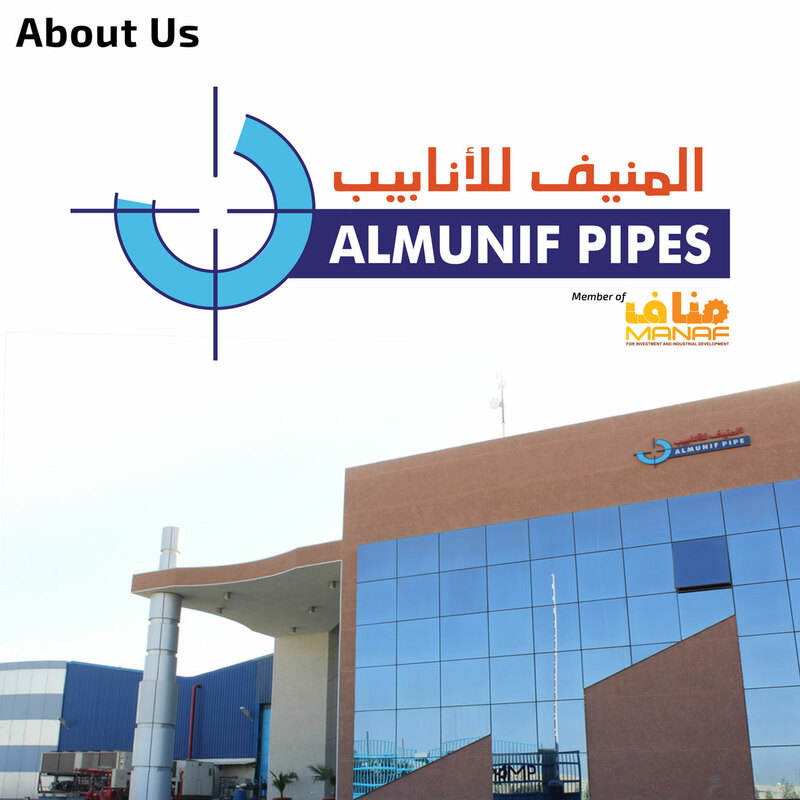 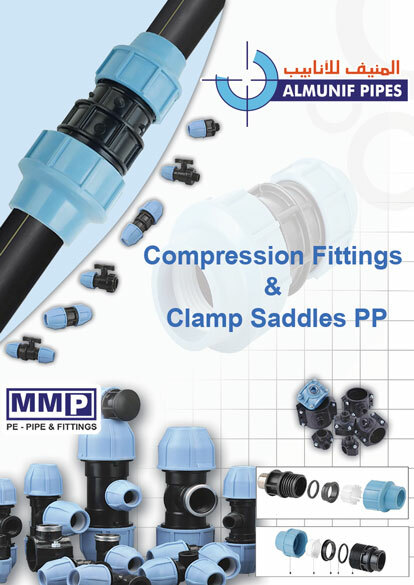 Al-Munif Pipes Factories are located in Riyadh where the solid and flexible polyethylene is being produced as high and low density at diameters starting from 10mm to 1600mm with different lengths and pressure ratings as one of the leading factories in the region in producing such big diameters. 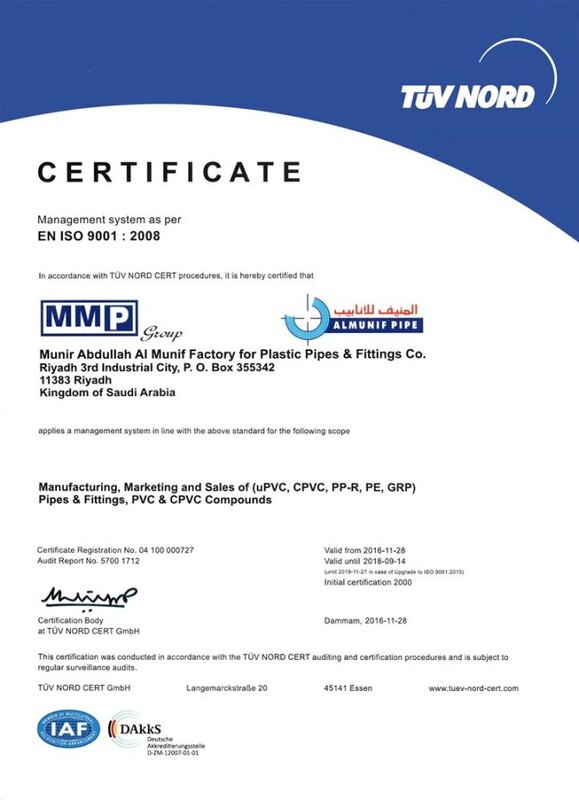 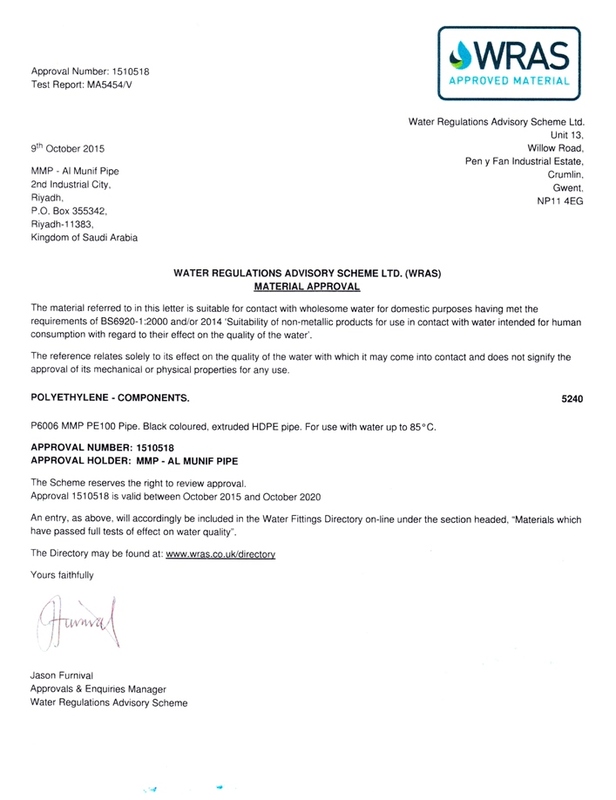 Besides producing Polyethylene Pipes; we are also producing PP-R pipes and Fittings for hot water applications with capacity of about 2000 ton with diameters starting from 20mm up to 160mm. 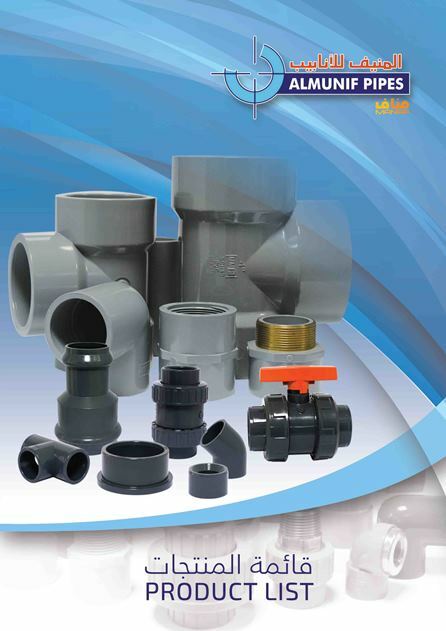 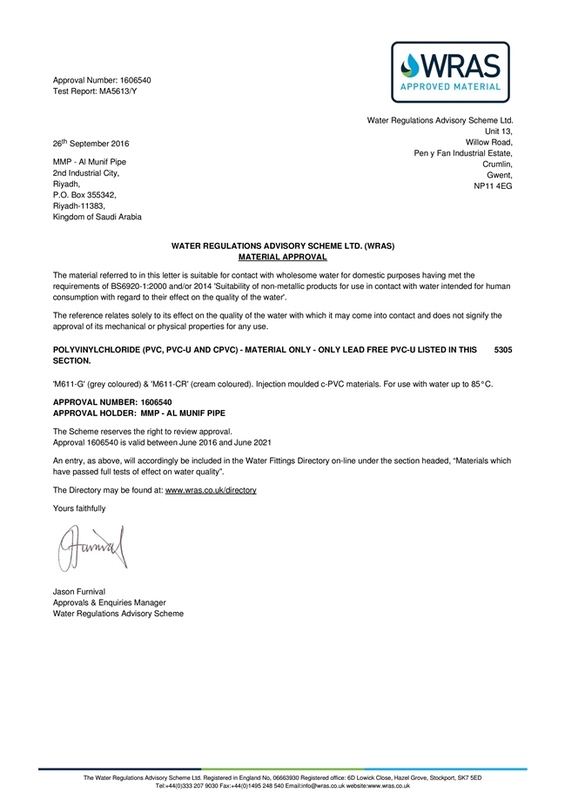 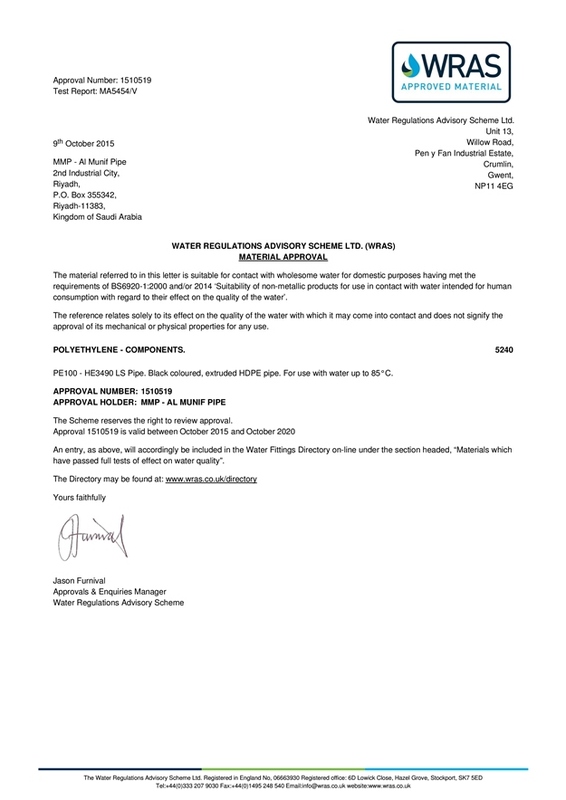 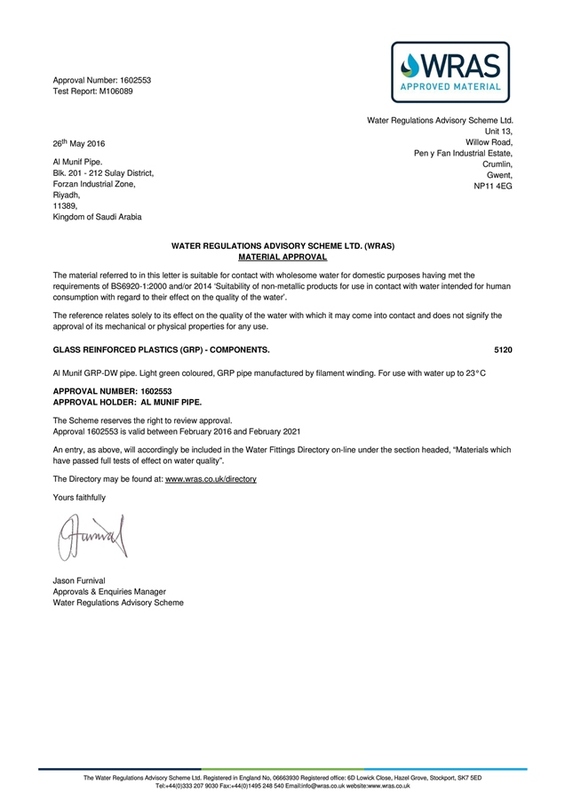 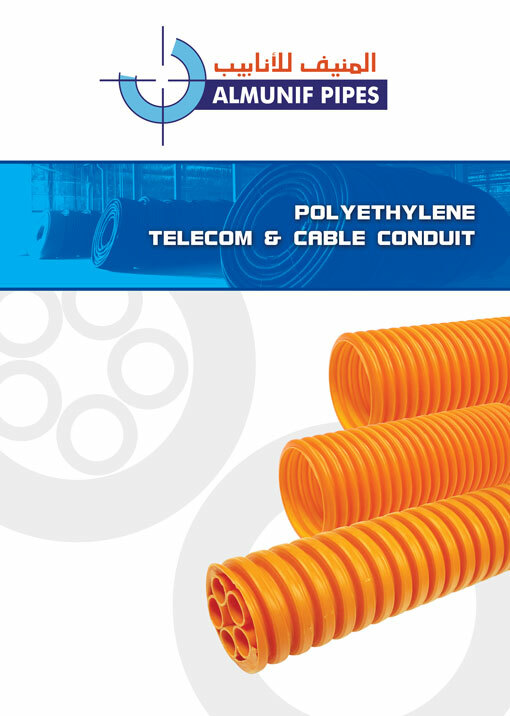 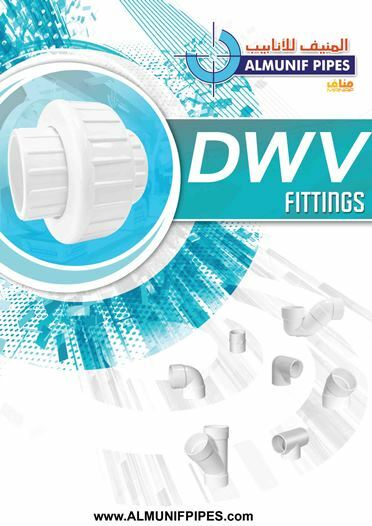 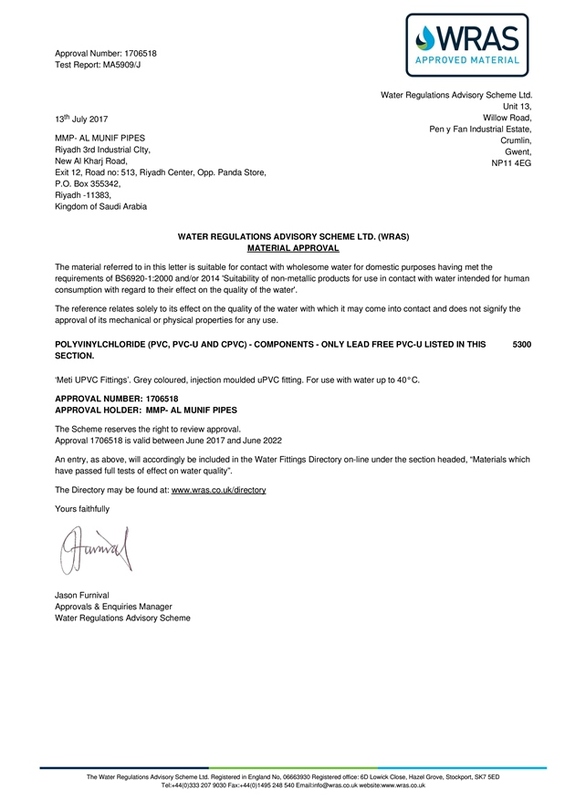 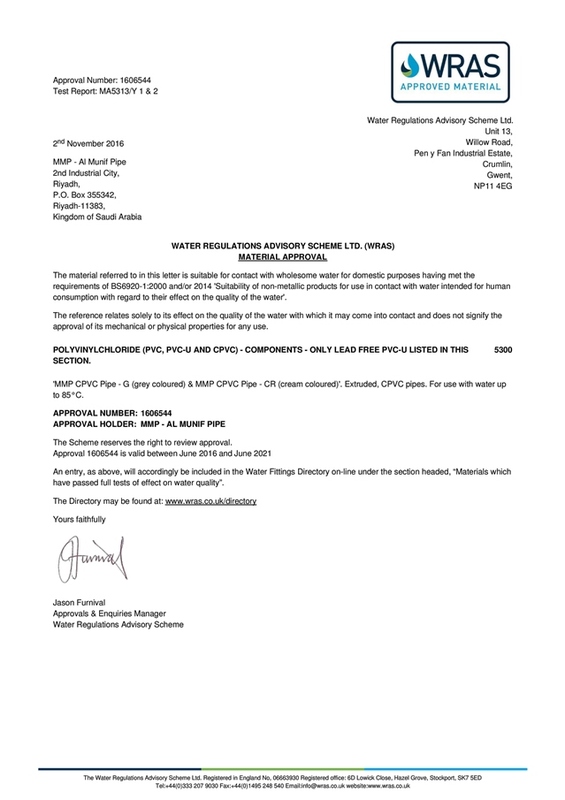 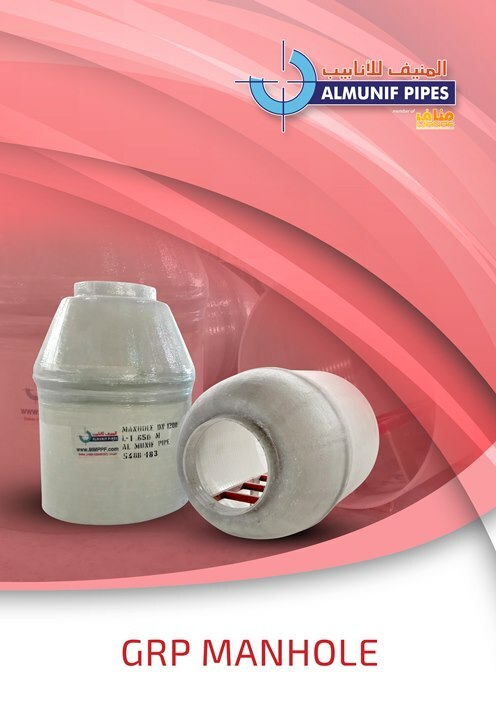 Moreover; we are also producing uPVC and cPVC pipes and fittings for Potable water, drainage and sewerage network, and electrical and telecommunication networks, in addition to GRP pipes and fittings and Rubber products. 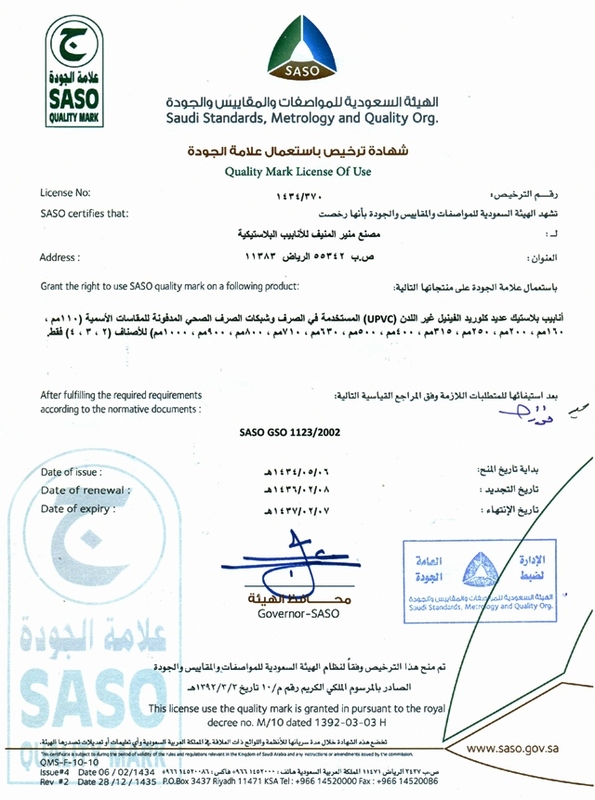 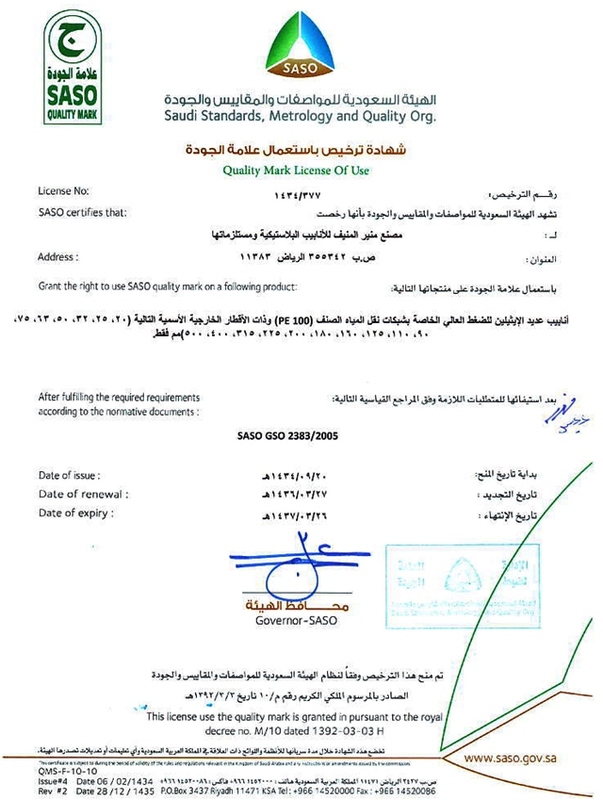 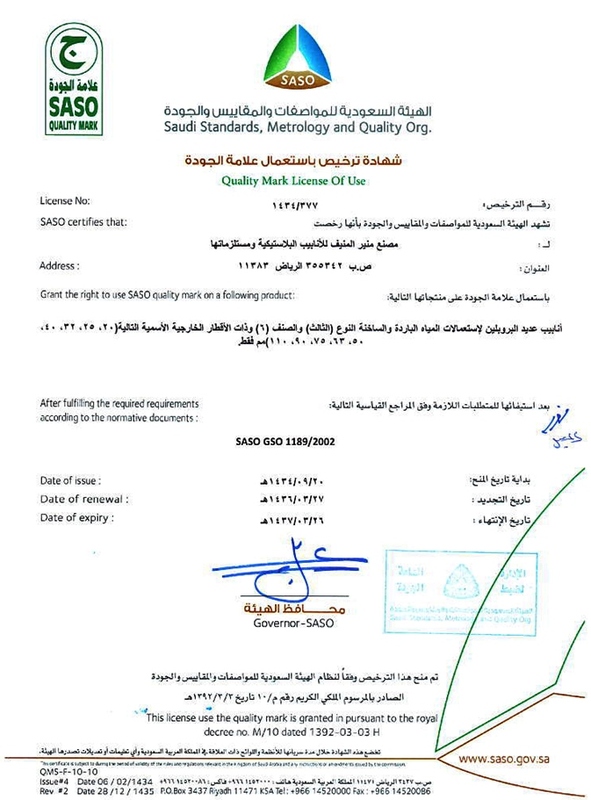 Production censorship is done in our laboratories to be sure of specifications compatibility. 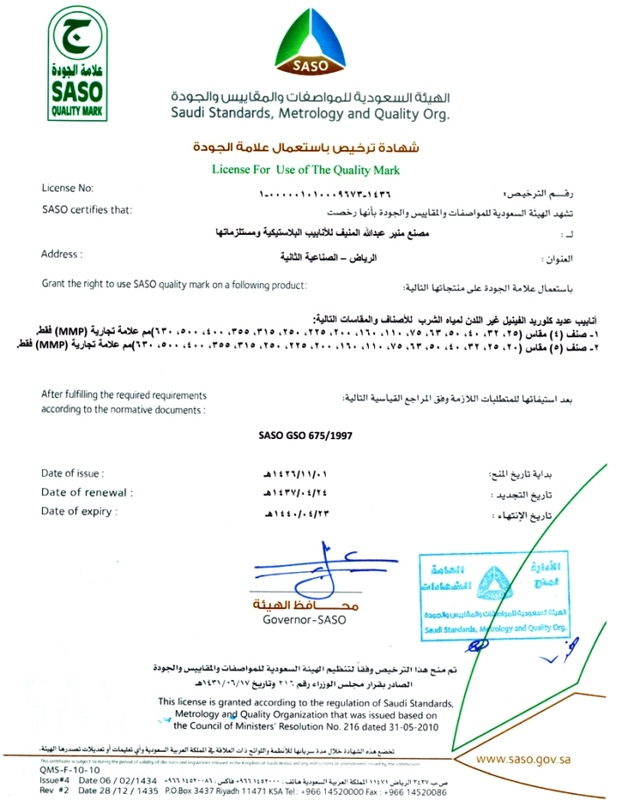 Our Laboratories has been equipped with all types of necessary systems to do those compatibility tests. 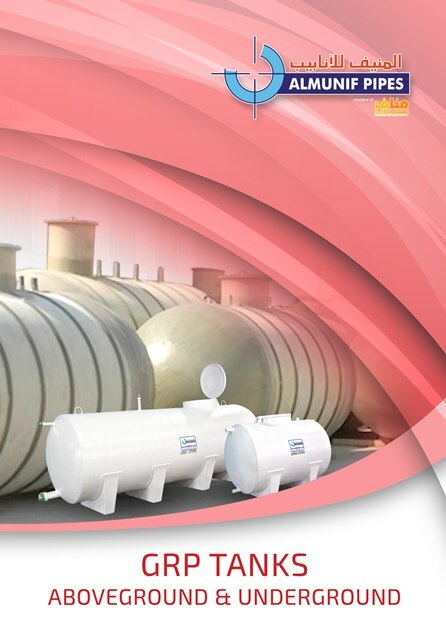 The production capacity is estimated with about 42,000 ton per year which is marketed and sold inside and outside Saudi Arabia.